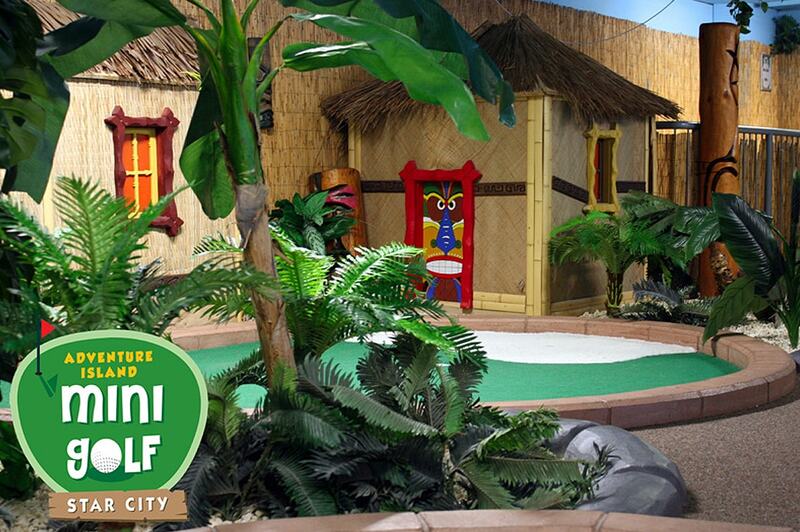 You are invited to England’s first Indoor Adventure Golf Complex. 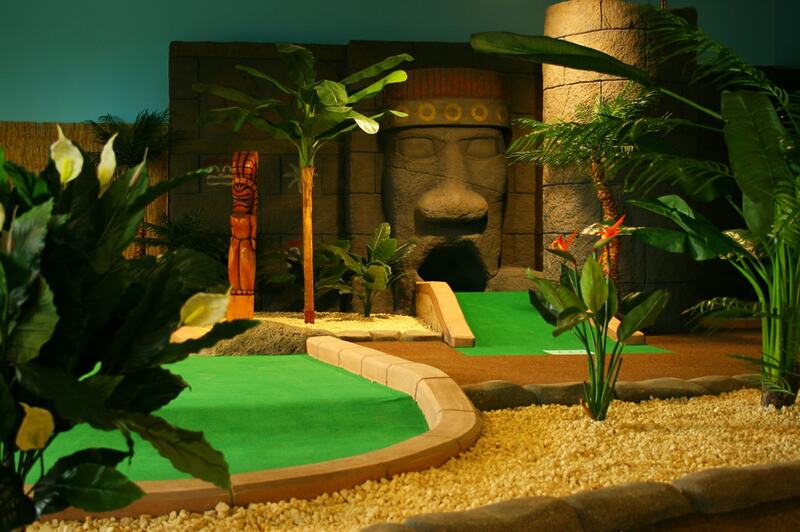 A tropical island adventure within Star City, our 18 hole, themed course is constructed over 3 levels and will see you putting through Tiki Villages, behind waterfalls, into caves and around palm trees and volcanoes! Suitable to play on your own, with family, as a birthday party, even for corporate events and friendly tournaments, come and see for yourself and be transported out of this world. We’re open until late 7 days a week and being indoors the weather isn’t an issue here – it’s always fun and games on our Adventure Island! 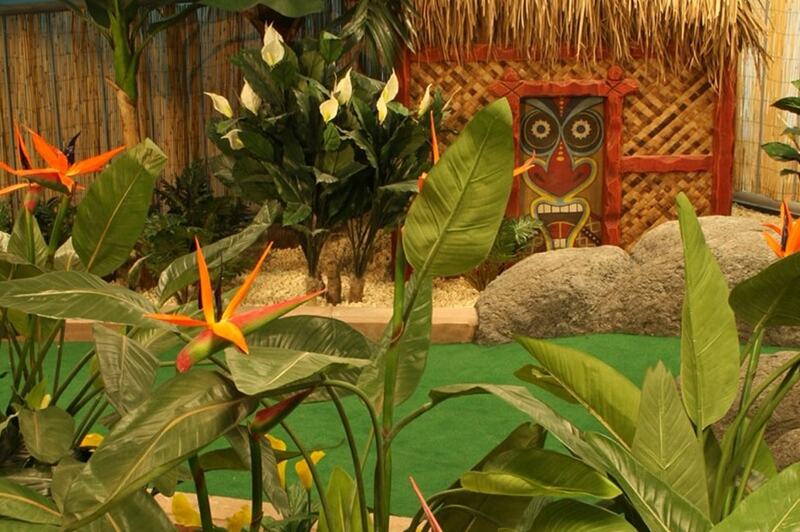 A tropical island adventure within Star City, our themed course is constructed over 3 levels and will see you putting through Tiki Villages, behind waterfalls, into caves and around palm trees and volcanoes!